It’s Berlinale and this year 41% of the competing films are by female directors. We’d like to invite ALL INTERNATIONAL AND LOCAL FILMMAKERS to join us in celebration! Our Berlinale meetup is a casual gathering where you’re invited to have a drink, meet new collaborators, and support each other. Whether you’re just starting out or you’re an industry professional, come join us. All are welcome. Event is free. 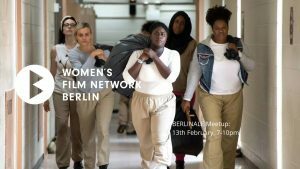 The Women’s Film Network Berlin is a local collective for women and those identifying as women across all disciplines in film, television and digital media. The group hosts meetups and events aimed to provide a space to inspire, inform and collaborate. Our mission is to advocate equality and foster fresh content and dynamic new voices in the industry.